Hi hemani, I would like to speak with you briefly to see if you're a good fit to coach me. Please contact me at your earliest convenience. Hi Shauntel, I would like to speak with you briefly to see if you're a good fit to coach me. Please contact me at your earliest convenience. Hi Yaduvendra, I would like to speak with you briefly to see if you're a good fit to coach me. Please contact me at your earliest convenience.  Hi Vijaya, I would like to speak with you briefly to see if you're a good fit to coach me. Please contact me at your earliest convenience. Hi Carolina, I would like to speak with you briefly to see if you're a good fit to coach me. Please contact me at your earliest convenience. Hi Andromeda, I would like to speak with you briefly to see if you're a good fit to coach me. Please contact me at your earliest convenience. Hi Red, I would like to speak with you briefly to see if you're a good fit to coach me. Please contact me at your earliest convenience. Hi Emmanuel, I would like to speak with you briefly to see if you're a good fit to coach me. Please contact me at your earliest convenience. Linda Marshall Grief & Life Coach (Certified Heartbreak to Happiness Coach, Grief Coach Academy) Author, Speaker, NGH Hypnotherapist, and ASIST trainer.